Harvest is now long past us and we are starting to think about bottling our 2011 wines. This weekend we are getting our wonderful, new 2011 Chardonnay ready for sale by putting the final touches on the bottles - the labels. 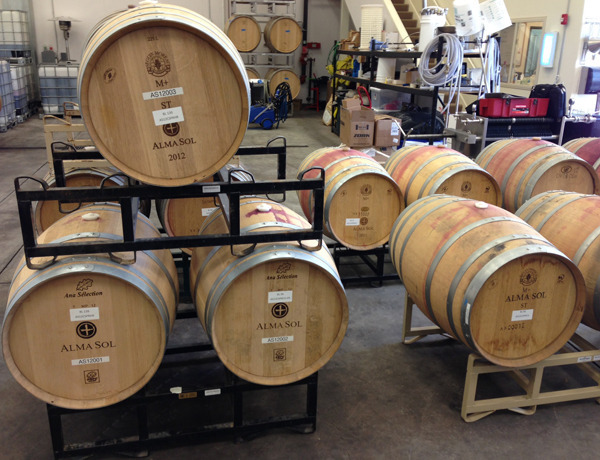 We are also running through all of our 2011 barrels in order to select the blends for the 2011 bottlings. After a long morning of tasting through the barrels and blending samples together, we are very pleased to annouce that we will be offering three different Bordeaux bottlings in 2011 - a Cuevas Vineyard Cabernet, a Reserve Paso Robles Cabernet (100% Halter Ranch fruit), and a Paso Robles Merlot. If all goes as planned, these wines should be bottled by May and will then see some extended bottle time in order to let them settle down so that when you are ready to buy them they are ready to drink. Stay tuned for updates on these wines as well as our 2012 vintage updates. Salud!